Project 24 at Lutheran Island Camp | "Northern Crossings"
Rev. Dennis McManus is at Lutheran Island Camp today for their Annual Quilt Action. 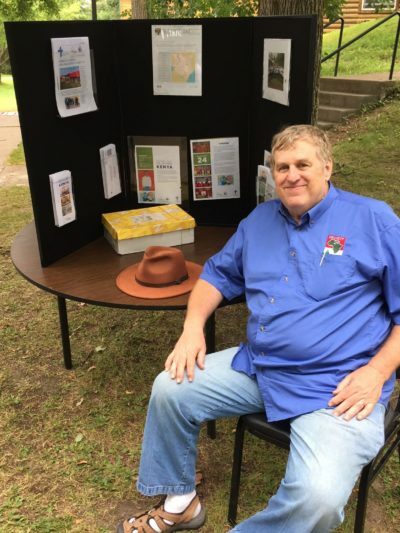 He has a display concerning Project 24 and we hope you will stop by and say hi and support this joint project of the Minnesota North and North Dakota Districts. Julie McManus was a GEO in Kenya and worked with Project 24, she was a Mary Okeyo traveler and Pastor McManus is now a faithful promoter and advocate for this work. Check it out. The Reward – More Responsibility.